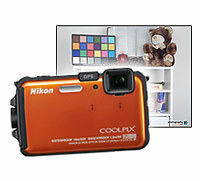 The Nikon Coolpix AW100 is Nikon’s first rugged, outdoor camera. Most rugged point-and-shoot cameras have mediocre image quality and I’ve been waiting for a camera company to step up and make one where image quality is a higher priority. Nikon claims image quality is one of the main strengths of the AW100 so I was anxious to get one in my hands for testing. Like most other rugged waterproof cameras, our Nikon AW100 studio samples exhibit the watercolory look that comes from too much JPEG compression. On the other hand, the higher resolution 16-megapixel sensor does seem to balance out the image quality at normal viewing sizes. I’m not passing judgment yet – that will come with the complete review that I’m working on. For now, please dig into the sample photos below – view them at 100%, download and print them, compare them to our other studio sample photos – do whatever you want to evaluate the image quality. When you’re looking at these sample photos, keep in mind there’s more to the AW100 than image quality – it’s shockproof, waterproof and freezeproof – so you can use it in conditions where you wouldn’t dare use another camera. I’ve already had it out skiing and in a slushy rain storm and it performed like a champ. 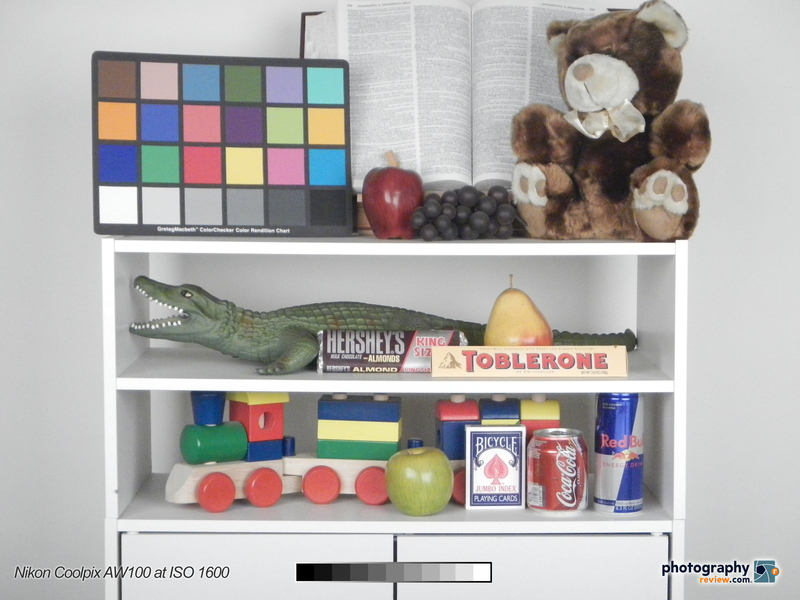 Click on the thumbnails below to see the Nikon Coolpix AW100 sample photos at their original resolution. Warning: these files are BIG – be patient while they download.